If you are the least bit creative and are self motivated you can start your own online business. How to learn about and build an online business will be your next step. That is what I shall discuss in this article. Your search for the tools you will need starts with going to a search engine such as Bing or Google or Yahoo, etc. You will search foru “how can I start an online business”, or “building an online business”, or “what you need to start an online business”, or “start my own internet business”. After you have searched, then you begin to dig deeper into the real work. As you dig deeper there are a few things to be aware of. One thing you will find is that there are literally thousands of opportunities for you to begin some type of business online. The costs will vary from a “beginning for free” to “spending thousands” for your own built and running web business. In each of these there are things to be aware of. Any business that is worth being in will cost you something. Most often this is measured in dollars. There is nothing wrong with a business costing you money. However, you should know what you are getting for your money. If you are new to building a business, then you must learn how an online business is built. 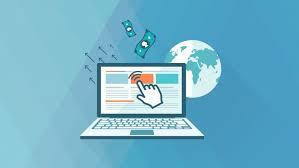 When you buy an online business you might think that you will start making money immediately. If it is a well built business, that may be so. But, if you do not have the knowledge and the tools necessary to continue to build the business, you may find yourself out of business very quickly. The success of any online business is determined by the amount of traffic that comes to the site. That amount is usually determined by the site’s ranking with the search engines. The ranking a business site has is determined by the algorithms of the search engine. Algorithms are the rules by which the search engines determines the value of the website. If you do not have some idea of what the search engine will look for in a website, then you may never be found by searchers on the internet. There are tools which you must become proficient in if you are to learn online business. Just by purchasing a website without knowing how to maintain standing with search engines is a recipe for failure. So, when you begin how to learn online business be sure to choose a program that incorporates lessons on how to build ranking with search engines. The particular term used in this realm is Search Engine Optimization (SEO). If the program you are considering does not have this, it should probably not be considered. If you really want to build a business that reflects who you are and what you are interested in, then consider building your own website. You might think that you do not have the knowledge or ability to do such a thing. That makes you qualified to be like most of the successful online entrepreneurs today. Most online business owners today were at one time average working people working for someone else. At some point they made a decision to launch out on their own. They learned how to build their own website and how to market their product of choice. Literally thousands upon thousands have established their own online businesses and are their own boss. Just about all of them who have succeeded will bear testimony that it was not an overnight success story. Any business of any worth takes time to build. It must be founded on good business principles and then maintained with continued improvement. 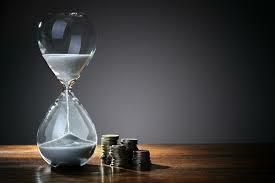 Though many may speak of “passive income”, that income must be supported by regular maintenance and updates. The greatest amount of time involvement in learning and building an online business will be in the beginning. If you are like I was you have a little understanding of the internet and how to access and use its tools. The lays the groundwork for being able to attain the knowledge by which you can learn how to build an online business. But be aware that it may take several months to a year to establish your online business. By using sound business principles to build your online business you can insure the success of your efforts. Do not be swayed by “get rich quick” programs. “Get rich quick” lays the foundation for “going broke quick”, also. Patience will pay more dividends in the long run. Let patience have its perfect work in your building of your online business. There are lots and lots of tools and programs on how to learn online business. Your part in choosing is to make sure you get one that actually teaches you how to learn online business. I mentioned earlier that you can buy website businesses that are already established or are already built for you. If you do this you should already be well versed in the business of online sales. If you are not, you may find yourself like one of my friends who bought an online store but had no idea how to run it. Within six months it was nonexistent. He had no idea how to promote his site are maintain it. You should choose a program that will provide a solid groundwork and library of teaching and training tools that will grow you in knowledge of online business. If you do not take this approach you will be setting yourself up for failure. There are some programs that you should be aware of that will take advantage of you. Rather than name them, I shall just give a general description of what to look out for. Any program that promises to make you fast money, get rich quick, you should be wary of. There is no such thing as “get rich quick”. Such programs are usually scams or illegal. 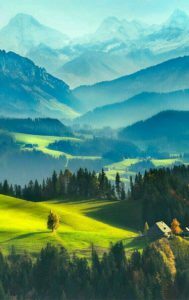 Do not think that you will “get rich quick”. You won’t. Programs that want hundreds or thousands of dollars upfront and want you to sign “legal” documents should raise a red flag. There are hundreds of these types of programs. They will flood you with all kinds of busy work, some of which is good, but most of which is of no or little profit to you. These programs are usually pyramids with the guy at the top making most of the money. In the end, you are the real loser. Avoid them like the plague. 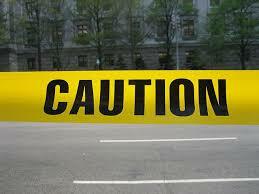 Be wary of “Promoters” who pitch a great deal for a low price and promise you success. The price seems great, but once you are in the loop you find that you are going to need to purchase more and more tools and programs if you are going to achieve the success they promised you. In the end you are the loser. Through experience I have learned some of the ways how not to learn online business. It is through experience that I have also learned what I believe is the best way to learn online business. Experience is a good teacher, but some things are better learned through knowledge. Learning online business is one of these things. My recommendation for the best way to learn online business is the program by the name of Wealthy Affiliate. This program has been established and growing for over 14 years. It has been growing, building and changing with the growth of the internet over the years. It is not a static platform but is constantly adapting to all the changes and nuances of the internet. Wealthy Affiliate has all the tools, knowledge and support that is needed for building any business on the internet. This knowledge is constantly updated and refined as is needed for its users to carry on competitive enterprise online. The platform serves as an avenue of interchange and growth in knowledge of the tools necessary for a successful online business. Wealthy Affiliate has a library of tutorials and teaching videos that numbers in the thousands. You can find tutorials that will address any subject that you may need to learn about. When you begin with Wealthy Affiliate you will first learn about basics. As you master them you will move on to advanced techniques and tools needed to build and maintain your online business. If you have a special problem that needs to be addressed, you have 24 hour support available. You can have answers for your questions in minutes. You can test drive Wealthy Affiliate. One of the best advantages of Wealthy Affiliate is that you can try it out for FREE. Now, almost all programs for building an online business offer you a “Free” trial. Their “Free Trial” usually requires either registering a credit card, or paying for the first month with a “30 day” money back guarantee. Sometimes it is a 60 or 90 day money back guarantee. Either way you must remember to cancel if you decide not to continue the membership. Wealthy Affiliate does not require you to register a credit card. They do ask you to register an email address. Your Free membership will include 10 free lessons on how to begin your online business. The Free membership also includes two free websites on which to build your business. These will be hosted by Wealthy Affiliate for free on their hosting service. Use the Free membership for as long as you wish. There is no time limit. There are limits on access to the tools of the program. You will only have access to 10 of the thousands of teaching tools. You will only have access to support for a week or so. These will give you a good taste of what is available with the Premium membership. If you decide to join the Premium membership you will then have access to all the tools of the Wealthy Affiliate program. If you decide not to join the Premium membership you still get to keep the two free websites and the free hosting. You can keep them from now on. Should you decide to upgrade in a couple of years, you can do it then and get all the benefits of the Premium membership. If you decide to join the Premium membership, you will have begun your adventure of building an online business. You will have access to every tool that you will need to establish and build a successful online business. At the same time, you learn and put into practice what thousands of other entrepreneurs have learned and used to build successful online businesses over the past 14 years. You will have the support of fellow online business builders as you can learn from their experience and expertise. Their successes will encourage you. As you grow and learn you will share your successes with them. Many of the tools you will learn would cost you a great deal of money if you were to purchase them from other sources. But at Wealthy Affiliate they come with your membership. 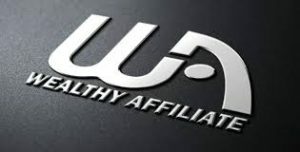 The membership fee at Wealthy Affiliate is $49 a month. This is an ongoing fee. However, you can pay by the year and save 15%. That is $499 for the year. You may wonder how that compares with other programs. If you compare it with the prepaid business site which runs from $3000 to $8000, you would get between 6 to 16 years of WA. The chances are that your purchased website would not be around after a year without the knowledge needed to maintain it. If you pay for an affiliate website with say, Amazon, which will cost between $400 and $4000, you can get from a year to 8 years of Wealthy Affiliate knowledge and training. Without that knowledge your purchased affiliate website will be nonexistent within 6 months to a year. And you will not have made any money. I recommend that you try the Free membership of Wealthy Affiliate. With that membership you will have the opportunity to see if building an online business is really for you. Take your time and weigh all the possibilities. Then, if learning online business is for you, get the Premium membership. Then you can set your goals for building a successful online business.